Danny Howard is in an incredible position. 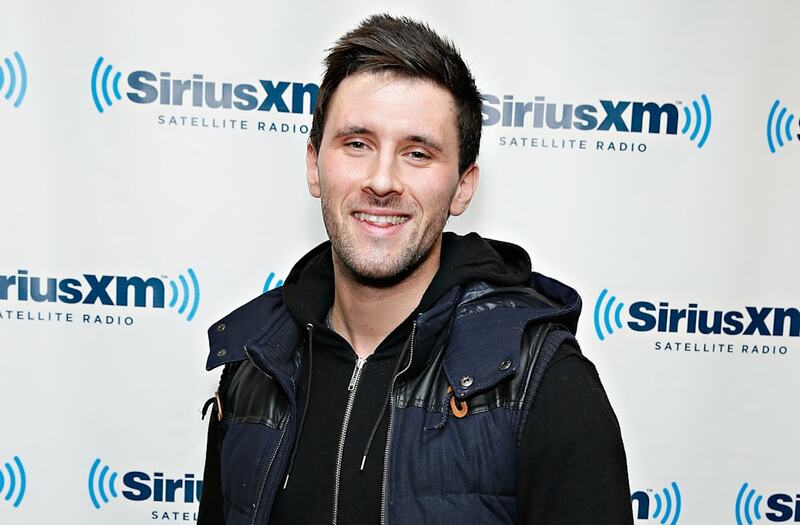 Not only is he a chart-topping DJ (his debut album peaked at the #1 spot on iTunes Dance Music charts), but he also runs a three-hour long radio show on BBC that gets broadcasted to 38 million listeners per week. His power over the airways is nothing short of impressive. More noteworthy is how Howard crafts his playlists. His main focus: highlighting up-and-coming DJs to the masses so that they too can get their own "big break." Because of Howard's drive to showcase emerging musicians, he's been able to bring producers to the forefront of the genre. Most recently was 99 souls, whose hit remix "The Girls Is Mine" now boasts over 23 million YouTube video views in part thanks to its reception from BBC Radio 1 listeners. So if there's any music influencer to watch out for, it's Howard. We caught up with the fan-favorite DJ at this year's Ultra Music Festival in Miami about how he finds way to help new DJs, his dream collaboration that's in-the-works, and more! This interview is a part of #KanvasLive, an interactive, cross-platform content series brought to life on the Kanvas app and AOL.com. See more on coveragehere. Want to get in on the action? Download Kanvas today for more live exclusives. This is your fourth year at Ultra -- what do you like about coming to Miami to perform? It's a rare treat when everyone in the dance music industry -- from the agents to the DJs -- get together. It's a great time to network, catch up with people, and really put faces to emails. And also, the best thing about it is the amount of music that comes out this week. So many producers and DJs will save their new music for this week, especially radio DJs. It's amazing to deliver all that fire. And of course Miami as a place is great. Do you feel as though there's a different energy here compared to anywhere else around the world? Definitely! If you did this in London it wouldn't feel the same for sure, because it's a bit gloomier there. It's amazing. It's like when you book a festival, you book it months in advance and it's a date you look forward to. And it when it finally comes, that day just explodes. And I suppose for a DJ it's the same sort of thing for Miami. There's just a natural energy since the excitement has been built up over a long period of time. A lot of collaboration also comes out of this week. Is there anyone you see as someone you would love to collaborate with? I spoke to a couple of producers about collaborating after this week is over and one in particular is my hero. Anyone who knows me, knows that I always mention him during interviews, but I won't now because I don't want to tempt fate. He told me next time I was around we would do a track together and my eighteen year old self wanted to just jump across the room. So hopefully that one will work out. That's why we come to Miami as well. There's the music, the sun, and the parties but you can make special things happen and that's worth the trip alone. What kind of prep goes into these high profile sets? I suppose a mixture of getting your favorite new tunes that are buzzing around at the moment, mixed with what you've been playing more recently as well. And people are coming here to party so you want to deliver on that as well. There's no rules, people just want to have fun and as long as you're delivering on that as a DJ that's all that really matters. Tell me a little bit about Nothing Else Matters and what inspired that. It started off as just a few events I did back in the UK and its conception was to give younger DJs a platform to play in front of a live audience. I think so many times now a bedroom producer will make a track and all of a sudden they're on the main stage of Ultra. That's amazing -- and I'm not knocking that, but they've sort of skipped that step of actually having to read a crowd or play tunes in the right order. That was the original idea behind it but since then, it has been so much more. It's now to give a platform for anyone, up-and-coming producers, guests, friends, to help build something on a wider scale to help doing things like festival lineups are massive club shows where the roster of the lineup is huge. You guys have had so much success with "The Girl is Mine" on a global scale. Yeah, it's going to be hard to follow but we've got a few things up our sleeve for this summer, so hopefully the wave will continue. You've been filming a documentary this week, right? Yeah, for Radio 1. For a Radio 1 listener driving around in the UK, for them to listen to a show in a Miami could make them a little jealous. We have to justify why we come, especially being on radio, so we position it as all the music premiering at the festivals will playing when you go to Ibiza later this year. This is the place where you'll first find them. So to put that in visual form with the documentary gives more of a detailed insight into that and I suppose makes it a more of an entertaining watch -- not to diss radio. Has it been weird having cameras follow you around all week? No, I guess not. I'm not used to it -- I'm a radio presenter not a TV presenter, but I've done it a few times now and it's always weird to look back on it actually. Something happened this week where I did an interview with Disclosure for the radio and we did it in the green room and when we finished they said, "Hey come to the stage with us!" So we got backstage passes and from the green room we followed them to the stage and I got to be Disclosure for five minutes, so I suppose that was really cool. How do you come up with the playlists you play every week? A lot of research. I'm always looking at what DJs are playing live or in the clubs, what reactions I'm seeing when I play shows, what other DJs are playing. It's literally like a long process during the week going through track lists. I suppose as a Radio One DJ, I have a responsibility to deliver the freshest, newest sounds and with the Internet being so accessible to music, it's even harder. That's the hard thing, deciding which tunes you're presenting to the audience because you have to trust their opinion and if you're not playing the right music it's hard to gain that trust back once you lose it. Do you also support up and coming artists on your radio show as well? Yeah, of course! 99 Souls for example originally theses were two guys from Nottingham and it was a bootleg at first and they sent it to me and Pete. And you just have to trust your gut when you hear it. They had never DJed before and we started playing it and that built heat, and then more and more people started playing it and they are where they are now. So definitely. There's so much music out there at the moment and you can't just rely on a name, you have to go on the merit with how good a tune is. Do you ever use feedback given to you on social media? Sometimes. I think I listen to the positive stuff more because if you're in a car and you're listening to the radio, you think "That's a good tune." You don't think, "I think that's a good tune and I'm going to tell him." That's a lot of effort and if someone does that, it means they've bothered to pick up a phone and write a message. Where as if someone wants to give you negative feedback it's the same, but I think it's a lot easier of a process. What social media do you enjoy the most? I'm a social media whore, I try to use all of the platforms. I love Snapchat. I think Snapchat is quite powerful at the moment.